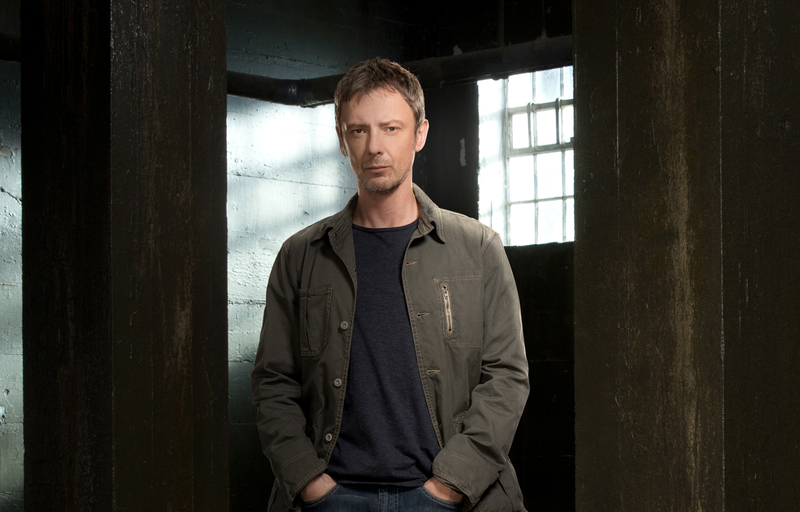 John Simm discusses his new role in BBC America’s ‘Intruders’ …and reveals his Elvis fandom. 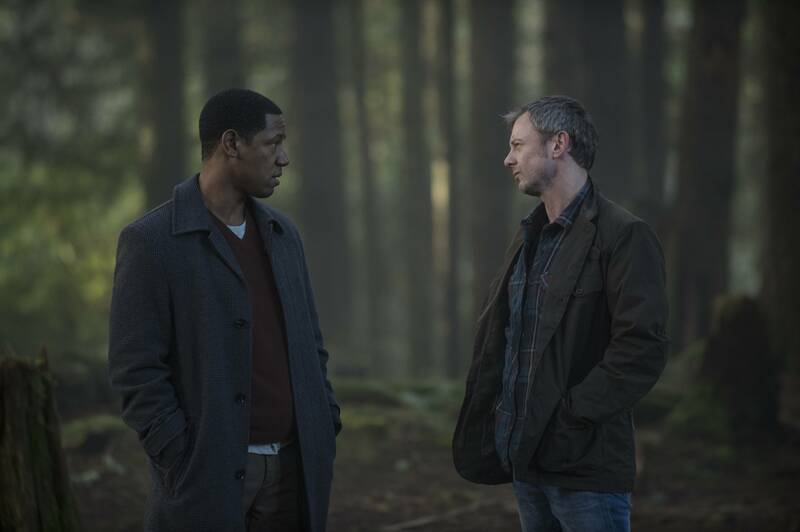 On BBC America’s new drama Intruders, acclaimed British actor John Simm plays Jack Whelan, a former cop whose life is upended when his wife Amy (Mira Sorvino) disappears under mysterious circumstances. 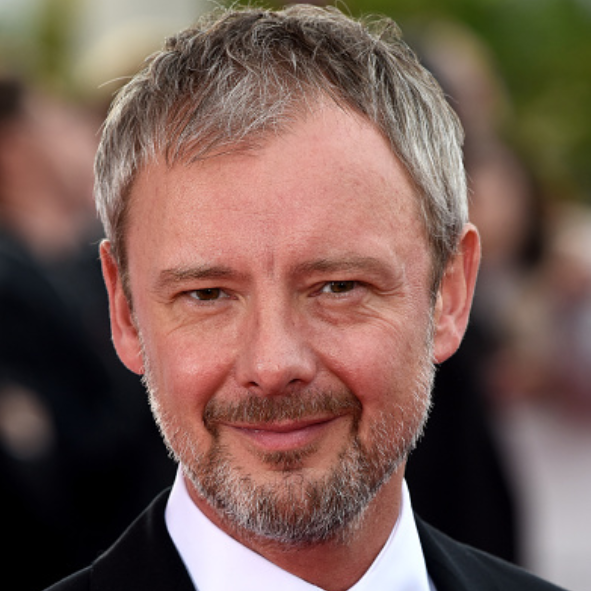 The EW Community talked to Simm about his character’s unique experience, accents and being taken over by a certain musician. ENTERTAINMENT WEEKLY COMMUNITY: I know that [Executive Producer] Julie Gardner was eager to work with you again. Aside from that, what drew you to The Intruders? 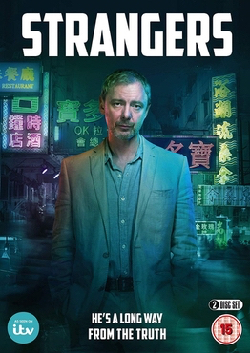 JOHN SIMM: I met up with Julie because obviously I had worked with her a few times [on Doctor Who, Life on Mars, and State of Play], and we were trying to find something that we could do together. We had been for a while. And she told me the story of this man, Jack Whelan, and told me about the adaptation that [showrunner and EP] Glen [Morgan (The X-Files)] had done from the Michael Marshall Smith novel [The Intruders]. We had a very long coffee while she told me the enormous strands that the story has, the intricate plotting…So I read the book, and obviously then, I was very excited. 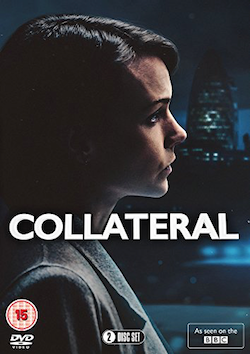 Finding out that Glen Morgan was on board and adapting it was just a double whammy, really. It was a dream opportunity that I couldn’t possibly turn down. How much did the novel inform how you played the character? The good thing about the novel is that it’s sort of narrated by Jack. Whole segments are the inner workings of his mind, so that was a great way for me to get inside his head. It does deviate from the plot in the book a little bit…but to get in the world and the headspace that he was in, the book was really invaluable, especially to me, for my character. In terms of the first few episodes, when they’re setting up a lot more questions than they answer, how did that ambiguity shape your performance? Well, you only play what you know up until that point—you can’t let on that this is gonna happen or that’s gonna happen. There were lots of times when we didn’t quite know where a particular strand would go, which was a good thing. The secret to acting is to be in the moment at all times, and be here now. So I just dealt with what Jack was dealing with [in] that scene, one scene at a time. And obviously they put it all together like a big jigsaw puzzle. What can you tell us about this book that Jack has written? Oh, the book within the book! [Laughs] It’s actually something, because in the novel, the book that he writes is called Intruders, but in the adaptation it’s called Afterlife. But basically, it’s a fluke that he’s a successful author. I think he was at a loss at what to do, and he hit upon this idea of publishing crime scene photographs and describing what had happened in this particular picture, and in this particular case. It was a big hit. It was a great idea. But now when we meet him, at the beginning of Intruders, he’s got a difficult second book thing going on. He’s sort of got writer’s block…He’s not really a writer, so that’s where we find him: struggling to follow up this hit book that he’s had. If Jack could be anywhere doing anything, because clearly he doesn’t feel like he should be a writer (he just sort of stumbled into it), what do you think his ideal retirement situation would be? Oh, his ideal retirement situation would be: He comes up with a second brilliant idea for a second novel, he becomes an even better writer, they have a family, and they all settle down to a cozy life in the Pacific Northwest. But that’s not what happens! Did you do police research as well? Yeah, a little bit. I mean, LAPD. I’ve played police officers [and] detectives before, so I’ve done that bit of it, you know—the weapons thing, etc. But yeah, I looked at the LAPD, but then again, I’ve grown up watching LAPD on telly, so I already had enough of the police background to make it all right. He’s an ex-cop, so he’s retired. It’s like being back on Life on Mars. Yeah. He’s good with weapons, and he’s a good detective. He falls back on it. You can obviously tell that he’s a good cop by the way he reacts to Amy’s disappearance. He falls back on his police training. It’s your first major role with an American accent; that’s exciting. Were you looking to branch out and do something with an accent, or did this just turn out to be the perfect storm in terms of a good chance to try it? It was a bit of both, really. I’ve always wanted to work across the water, and I always wanted to be invited, instead of going over and trying to sell myself, so I was always up for doing it. I was waiting for the right thing and luckily, it came along with [Executive Producer] Jane [Tranter] and Julie offering me Jack Whelan. So yeah, that was a huge challenge for me. It was one of the only times in the last 20-odd years that I’ve been nervous at a read-through…I sat next to the Oscar-winning Mira Sorvino, and everybody was American, more or less, and there’s execs, and they’re recording it. And it was actually the first time I’d ever done it out loud…I did work on it before, and I had a great guy called Rick Lipton who helped me. You know, hopefully—we’ll see. It’s gonna be quite weird for the people in Britain because they’ve never seen me do an American accent. So they’ll be watching me like a hawk, I’m sure. I adjusted really quickly. I forgot after five minutes that it wasn’t your voice. Oh great! Oh, thank you. That’s good to know. I heard that something creepy happened on set, in that old hospital. It was a very creepy old set. I think a lot of things are filmed there. It was an abandoned mental hospital. Yeah, we heard voices. We definitely heard voices. And I’m sort of very reticent to admit anything like this, because I just don’t believe in it, and neither does [Tory Kittles]. That’s why it freaked us both out, because we both heard it. And we looked at each other and we thought, Yeah, that was actually something, wasn’t it? We looked everywhere, and we couldn’t find it. We heard a woman sobbing and somebody placating her, all through this long, 20-minute conversation we were having, and then realized finally: Who is that? Everybody was outside setting up the car for a shot in the car later that night. It was a night shoot, so it was abandoned completely. Nobody was having a laugh or anything. We really checked everything out…So maybe there is some kind of bad energy or something, but yeah, it was quite weird. It didn’t help that it was 2 in the morning, of course. That would’ve been much better. I would’ve preferred that. If Jack were intruded by anyone, who would want it to be? So basically, who would you want to play within Jack? John Lennon? Elvis? They’d have to be dead, I guess…That is an interesting question. I’ve never been asked that one before…I’ll probably come up with a really brilliant answer in about an hour. But then you’ll have it for the next time you get asked! Yeah, that’s true. It’s a very good question. Are you going to speak to the rest of them? You should ask them that. Oh, I should! I’ll work my way around. And you can prepare them. No, I’m not gonna tell them! That’s true. That would be an unfair advantage. What was I thinking? I think I’ll say Elvis. 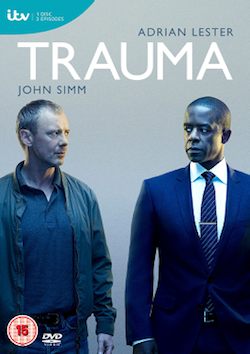 Tags: actor, bbc america, Drama, elvis, Interview, intruders, john, paranormal, simm, Television, tv. Bookmark the permalink. 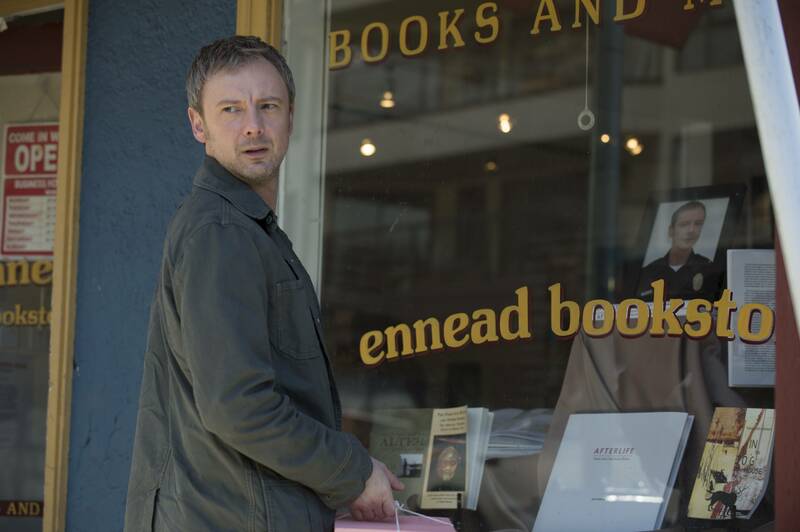 John Simm is my favorite actor and I’ve watched everything he’s been in that’s available here in the U.S., but Intruders is just mindless garbage that isn’t worthy of such a great actor.